Home Uncategories Oh..! The lips!!! Hope you all are having a fantastic week! We are getting ready for Thanksgiving dinner!! I can't wait to enjoy a delicious stuffing (my favorite holiday food). Happy Thanksgiving everyone! Besides shoes, handbags and sunglasses there is one more thing that I just go crazy about: Lip treatments!!! And during this time of the year they are a must. I just can't have enough of them, I had tried a lot of lip treatments and today I am sharing with you my favorites, and why I love them. *pics were taken by me. *Disclaimer: I bought all this products with my own money, well my husband money, :D! 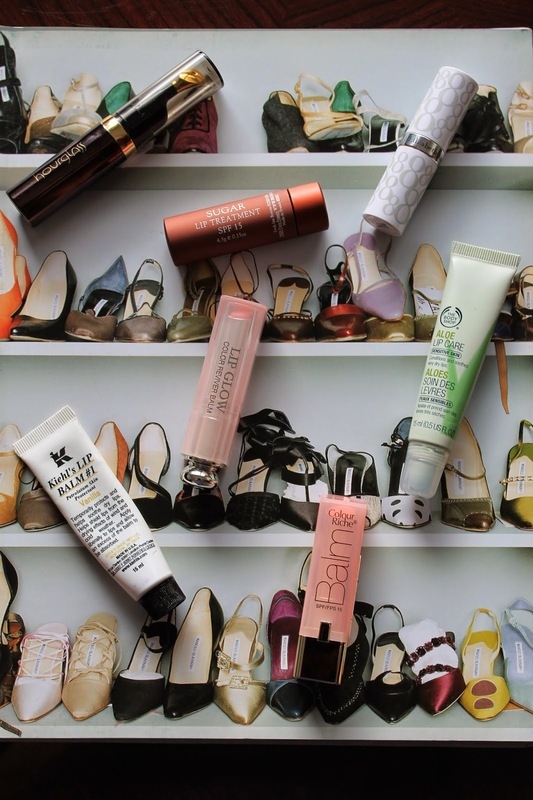 If you wish to have beautiful kissable lips, you must try any of this! Aloe Lips Care from the body shop, this is emergency lip product, it really works, this gives me a new lips every time! more info (here). Sugar lip treatment, I feel I do not need to say anything about it, everybody loves this product, and yes it does work and it has spf 15, just perfect! more info (here).